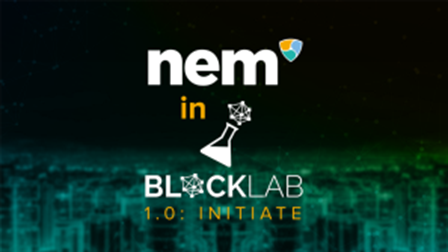 Last August 28 and 29, NEM Philippines part of the BlockLab 1.0: Initiate conference and exhibition. Held at the iAcademy Nexus in Makati City the conference featured several blockchain projects that are currently disrupting their respective industries. The conference was geared towards empowering young entrepreneurs, founders, developers, and talents in the fintech and blockchain space by generating awareness and spreading education on blockchain technology. Keltine Tan, one of NEM Philippines’ Business Development Managers, was on hand to conduct a NEM 101 presentation that highlighted the features, advantages, and power of the NEM blockchain. She further emphasized how NEM’s scalability, speed, and stability set itself apart from its competitors. This presentation served as a perfect foundation to present how the NEM blockchain is the perfect technology platform to a power a number of use cases and projects. A good example was C Estates.io, a NEM-powered one-stop shop for real estate transactions. C Estates Chief Operating Officer (CEO), Elixes Becislao was at the conference to present how their project could help ease out and efficiently make accessible every real estate transaction by using blockchain technology. C Estates was only one of the many use cases from many other industries that used NEM as their platform. Other top use cases included system integrators, trading/exchanges, finance, platform, payment, and authenticity. There were also several projects made for augmented reality, education, gaming, marketing, supply chain, charities/donations, and loyalty/rewards. BlockLab 1.0 was a momentous opportunity for the growing blockchain community in the Philippines. It allowed the exhibitors, speakers, and participants to share their projects, their stories, their struggles, and their aims. As for NEM, the conference was an opportune moment to offer its technology, to build partnerships and to tell its story.